Taiwan made. Triumph BSA Norton main fuel tank petcock no plate. 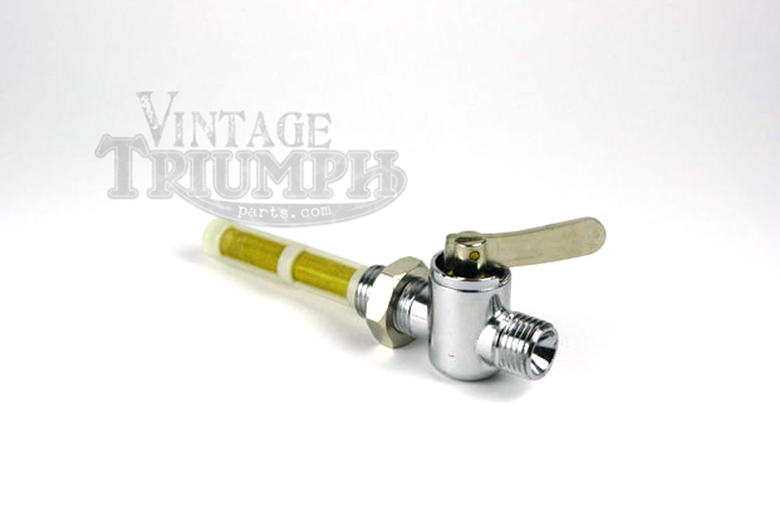 Standard gas tank fuel valve with the stand pipe inside, does not allow you to use the last 1.5 inches of gas unless you turn on the reserve side. Brass center does not snap off like the plastic ones.